After observing the federally mandated waiting period, I am finally ready to name my album of the year for 2009. There’s not a lot if suspense here, at least in my mind. 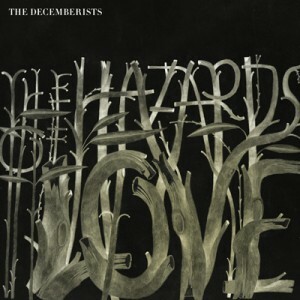 All along I thought the Decemberists’ The Hazards of Love would be pretty hard to top, but I had to hear a few other things (Devendra Banhart’s latest, e.g.) before I could be sure. Now, with February safely in the rear view and springtime in the offing, it’s time to make it official. This month’s book club selection is Bowie: A Biography by Marc Spitz. (Is he any relation to Bob Spitz, author of the gigantic Beatles book it took me the better part of a year to get through? I am mildly curious, but not enough to actually do any research.) 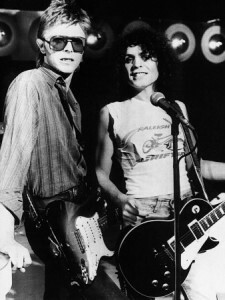 My favorite factoid so far: In the years while David was still David Jones, his friend Marc Feld, later known as Bolan, briefly toyed with the name “Bowland.” It would have been Bowland and Bowie, and then maybe Iggy Stooge would have changed his name to “Bowery” and they would have formed a trio. It’s now hard to believe but the meeting of these two rock icons was as humble as it could have possibly been. Les Conn, managing both Bolan and Jones, had promised both future icons some much-needed spending money to whitewash his office. In front of a restaurant on College Ave., an employee is erasing the Valentine’s Day messages from the windows. The Metal Machine Music 8-track, which Lester Bangs used to play in his car. What we have here is a one-hour two-record set of nothing, absolutely nothing but screaming feedback noise recorded at various frequencies, played back against various other noise layers, split down the middle into two totally separate channels of utterly inhuman shrieks and hisses, and sold to an audience that was, to put it as mildly as possible, unprepared for it. Because sentient humans simply find it impossible not to vacate any room where it is playing. With certain isolated exceptions: mutants, mental patients, shriek freaks, masochists, sadists, amphetamine addicts, hate buffs, drug-numbed weirdos too walled off by chemicals to feel anything, other people whose nervous systems are already so bent out of shape that it sounds perfectly acceptable, the last category possibly including the author of this article. About a week ago, I set out to create one last installment of this series that would make use of all the stuff I couldn’t fit in anywhere else. What I ended up with was an uncontrollable shaggy dog of a thing that goes on roughly forever. You may, nevertheless, find it amusing. This crazy concoction is dedicated to crazy Dennis Hopper. It’s a pretty lovely day here in the City of the Proud, despite the foul prognostications of that obnoxious rodent in Pennsylvania. I’ve said this all before, but I’m not such a fan of the groundhog. Every damn year it supposedly sees its shadow and we are told that no, spring won’t be coming early this year, foolish humans. I’m starting to think there’s some kind of conspiracy behind the whole thing—maybe the companies who make winter coats, or speculators in natural gas? Well I for one refuse to go along. I do not acknowledge your authority, Marmota monax. I’m going to go ahead and act as if spring starts today, and let’s see you stop me. 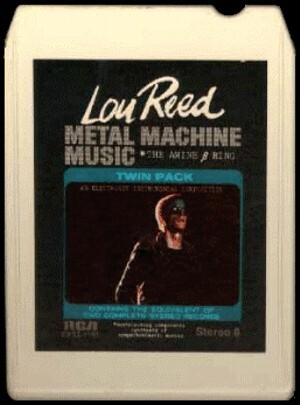 Rock is basically an adolescent music, reflecting the rhythms, concerns and aspirations of a very specialized age group. It can’t grow up — when it does, it turns into something else which may be just as valid but is still very different from the original. Personally I believe that real rock’n’roll may be on the way out, just like adolescence as a relatively innocent transitional period is on the way out. What we will have instead is a small island of new free music surrounded by some good reworkings of past idioms and a vast sargasso sea of absolute garbage. And what can I add to that? Absolutely spot on. Powered by WordPress v 5.1.1. Page in 0.364 seconds.